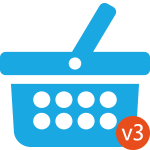 Seems well thought out, but I just couldn't configure it correctly for Australian GST tax rules and ended up going with a non DNN solution for my shopping basket. Definitely very good for European applications. 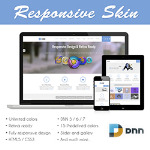 I've been using this skin for several years and it's a simple, clean, well designed skin that is very easy to manage. Good platform, but documentation is not so great. Be prepared to spend a lot of time experimenting until you get it right. The subscription plans are costly compared to many other vendors, but you are getting a very usable system. Monitoring/reporting at free tier is a little limited and many of my customers are not in the US/Europe so I'm not sure how effective it is at that tier, but it is easy to set up and try out. Definitely worth experimenting with.